Still on the boat on the Gambia river in the Gambia. Two tawny eagles on a palm tree. One of the reptiles of the Gambia: a central African rock python lies dead in the river water near the bank. Further to the west. Collared pratincoles flying swiftly, just above the water. 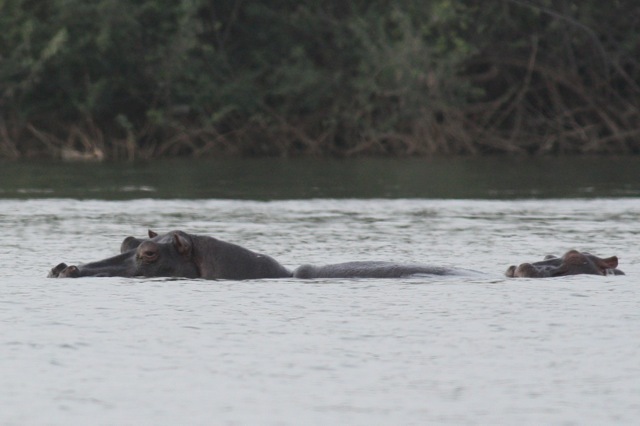 Then, two adult hippos and a baby, swimming and often diving. Guinea baboons in a palm tree. 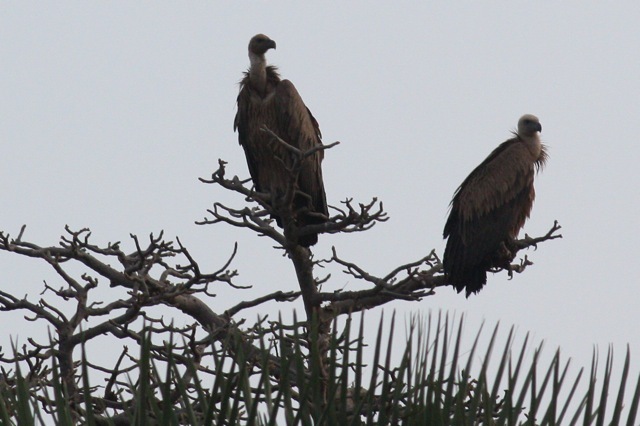 Two white-backed vultures on another palm tree. Baboons with a baby on the bank under a tree. 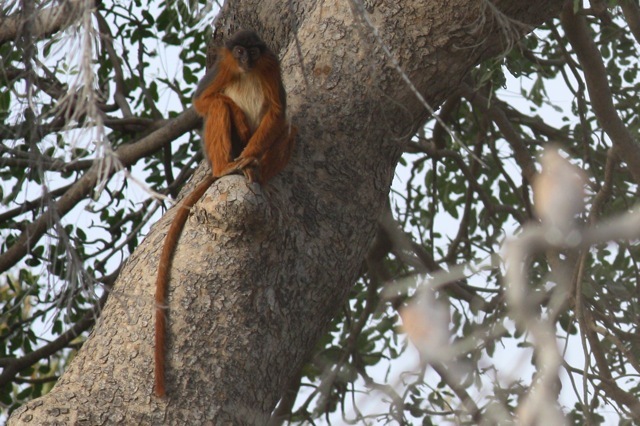 A female western red colobus monkey with a baby, eating a tree’s last leaves. 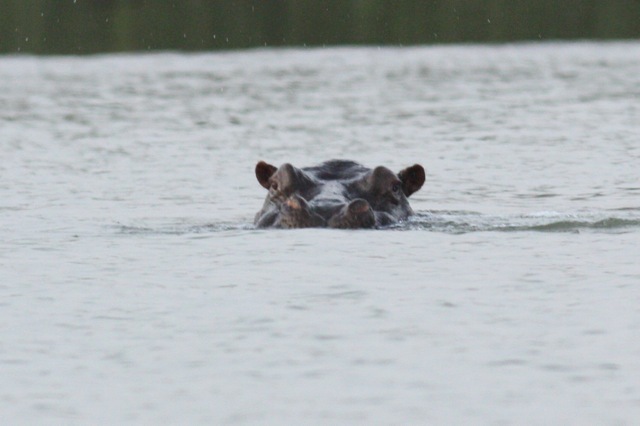 Fences to keep Gambian hippos out of ricefields: here. Do you know what put West Africa on the map in 1977? 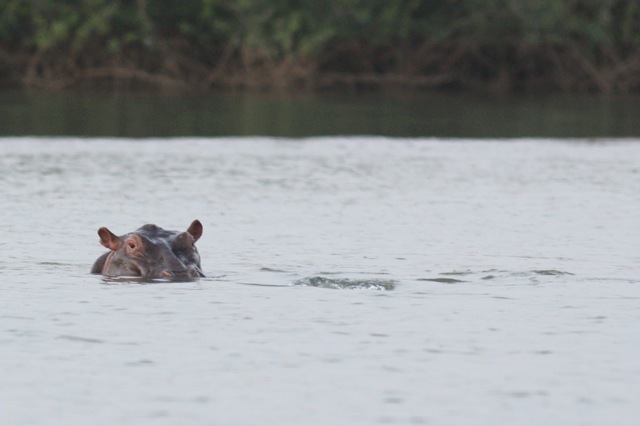 This entry was posted in Birds, Mammals, Reptiles and tagged Gambia, photography, travel by petrel41. Bookmark the permalink.